Living in a city has its advantages. There are so many interesting cites to see. Ones that you just don't have time visit during the school year. A summer scavenger hunt is a fun activity to do as a family or students to do as a summer assignment. Many students don't have an opportunity to travel, so this is a great "Staycation" activity. My granddaughter had this assignment before the end of the year. 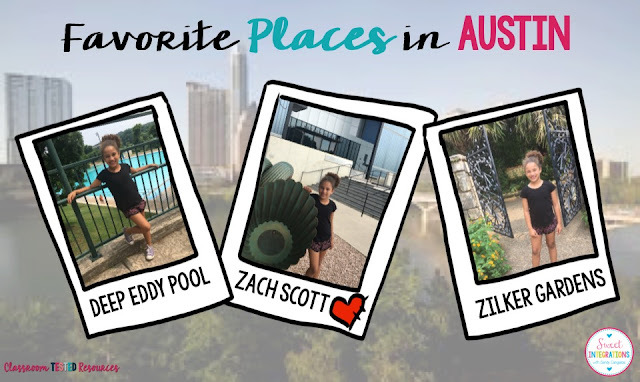 We hurriedly traveled around Austin taking pictures for her scavenger hunt. Because we were so rushed to complete the assignment, we didn't have time to really explore each location. 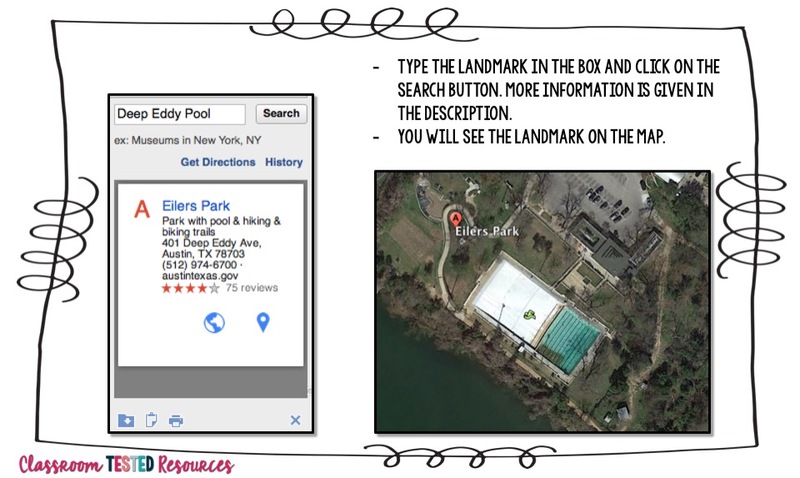 To take the scavenger hunt a step deeper, try using Google Earth with the activity. Students can share photos of themselves at a landmark plus students can travel to the location using Google Earth. 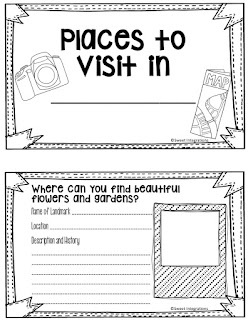 I suggest that you have a list of 10 different places for your students to visit. 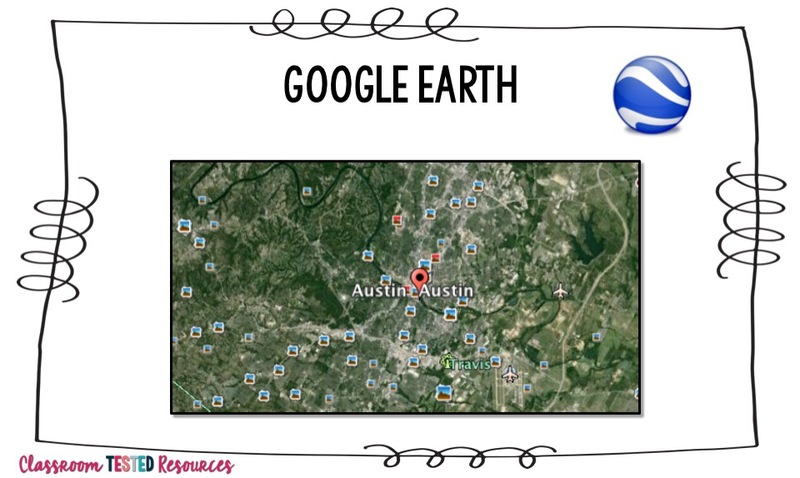 You can keep the questions open ended so your students aren't taking pictures of the same location. Also, give the opportunity for students to be creative. For example: Where is your favorite place to swim? Most students' answers will be different. These cute Polaroid photo frames are created by our own Anita Goodwin. 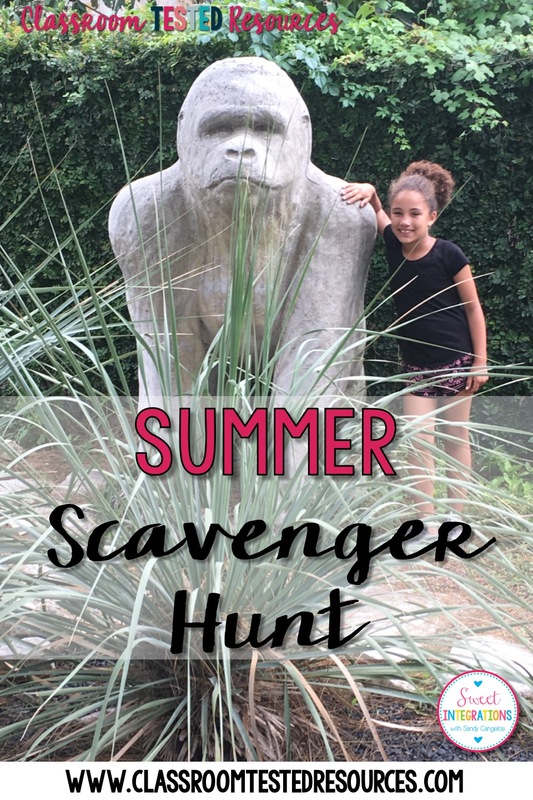 And, don't forget to download your free booklet for your scavenger hunt.